Are you busy taking care of your elderly parents? You may not understand everything that’s going on with their medications and the potential errors that might be happening. Do you want to help keep your parents as healthy as possible, but you feel confused with all the information and don’t have enough time or expertise to find all the answers? More than half of Americans 65 and older take five or more prescription medications at any given time APhA. If you, or someone you know, is taking multiple prescriptions, you’ll want to read on. Getting advice from a personal medication consultant could help you reduce your risk of adverse drug interactions or possibly even save your life! 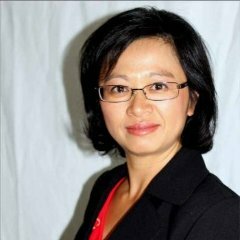 Dr. Carrie Fu is a personal medication consultant who has a passion for senior medication wellness and healthcare management. “I help people set goals to manage their health and embrace life without being dependent on drugs. I also help people avoid risks that result from medication errors and oversights.” Dr. Fu said. 1. Stick with one pharmacy. This way, all your drug information is based in one place. When you go to multiple drug stores, they don’t have your complete medication history so they can’t check for drug interactions. 2. Keep a list of all your medications. Each person should have a personalized medication list, not only their current medication, but also their past meds. You can type up a document or just write it down. You should give your medication list to all your providers, including your pharmacist, dentist, acupuncturist, primary care physician, or anyone who is providing your health care. Dr. Fu recommends that you check the American Society of Health-System Pharmacists website for an online form to record your Medicine List. For additional tips, refer to Helping patients keep and up-to-date medication list from the American Pharmacist Association. 3. Get a consultation every time you pick up a prescription. Ask for a pharmacist consultation before you take your prescription. Find out how to best take it. 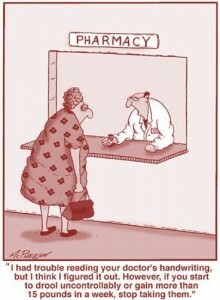 It’s always a good idea to ask the pharmacist if there’s anything in particular you need to watch out for. 4. Take into consideration over-the-counter drugs and vitamins. A lot of people don’t realize that vitamins are like medicine. If you take too many vitamins you could get a kidney stone, for example. Or if you’re taking a thyroid medication you need to know that you shouldn’t take calcium supplements within four hours NIH MedLinePlus. 5. 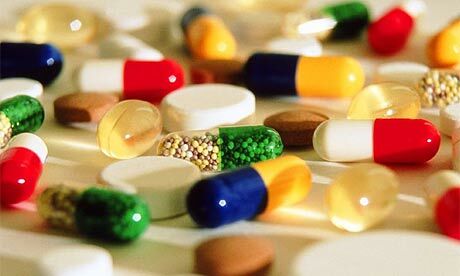 Don’t abruptly stop medications for chronic conditions. If you want to taper off or discontinue your medication, it’s critical that you consult with your doctor, pharmacist or a specialist. If you abruptly stop taking your blood pressure medication, for example, you increase your risk of having a stroke. 6. Have one medical professional who has access to all your medication history. Medication errors can happen when a patient moves from one location to another. Problems often arise when patients change care between a hospital and a retirement home. 7. Know your rights, resources and benefits. It’s important to get more involved with your own healthcare. You can start by going to AHRQ for suggestions on how to ask questions and talk to your clinicians. It’s also important to understand your drug prescription benefits under Medicare Part D.
Dr. Carrie Fu is a consulting pharmacist who specializes in personal medicine and Medication Therapy Management (MTM). As a medication consultant, she helps her clients understand their medication and feel well. Even if you have a chronic condition, you can still be well. She helps people to be as healthy as possible from a medication perspective. She wants to help her patients be in the best health by taking the least amount of medications. Whether you have diabetes, high blood pressure or another chronic condition, Dr. Fu can help improve your medication regimen. Health is your #1 asset. She helps people to embrace life without being dependent on medications. There’s no magic bullet, but there are always options. She’s a health coach who focuses not on your illness, but on creating more wellness in your life. She is also on the provider panel at Doctor Quickly. To set up your own personalized medication consultation, contact Dr. Carrie Fu.